This is a simple 100% cotton dress made by hand in Tanzania. 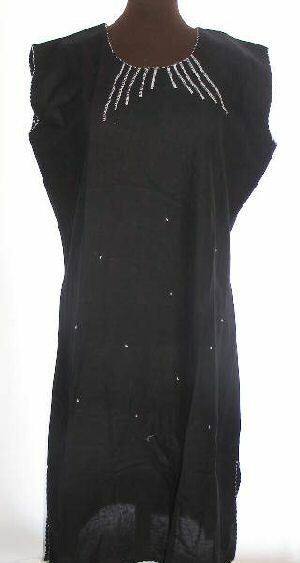 It is sleveless, hand embroidered lightly tapered. It measures 6″ from shoulder to shoulder, 23 1/3″ across the chest and 45″ from shoulder to hem. There are 9″ hem slits for freedom of movement.